Equanimity is an important part of the Buddhist path, and a quality to be cultivated through meditation practice. As one of the four brahma-viharas, equanimity is a quality of the mind and heart. However, it’s often left by the wayside. We frequently have students who have been practicing for some time without dedicating effort toward the cultivation of equanimity. As such, I thought it’s an important topic to cover here. Equanimity holds a place on several Buddhist lists, illustrating its importance in the dharma. It may not be as simple to describe as other heart qualities in Buddhism, which can make it hard to understand fully. I will do my best to simplify. 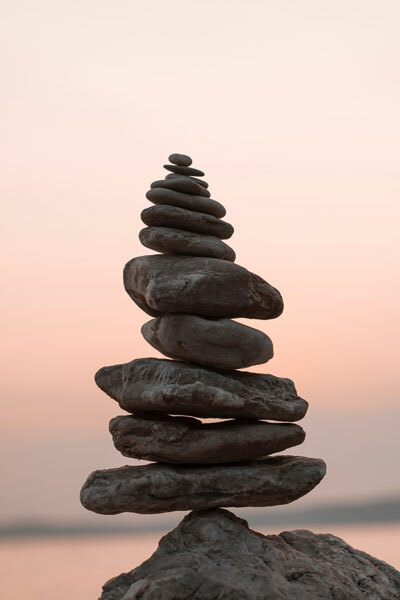 When we cultivate equanimity, we are cultivating an ability to be with experience completely without being swayed so heavily or knocked off balance. It’s not an aversion to experience; equanimity requires us to be up close and personal with the pains and pleasures. With equanimity, we become less reactive and can see more clearly. Obviously, the Buddha did not speak English and the suttas were not written in English. 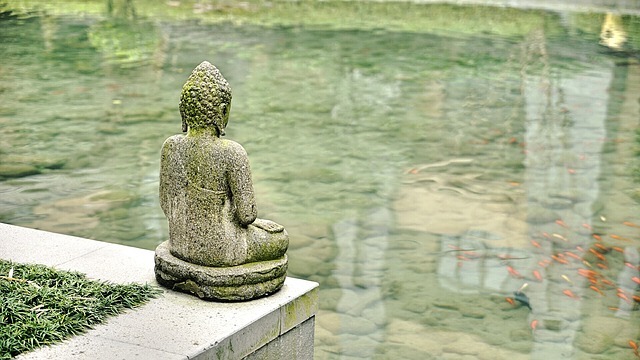 In the Buddha’s language, Pali, there are two words we translate into English as equanimity. The first is upekkha. Upekkha means to look over as a spectator. This gives us the sense of equanimity as a quality of observation without getting too involved. The other word we translate as equanimity is tatramajjhattata, which means to stand in the middle of. This word gives us the sense that equanimity is not necessarily removed as the word upekkha may bring to mind. Rather, equanimity requires us to be up close with experience, standing wholly in the midst of the arising and passing of it all. As with the other bramha-viharas, equanimity has a near enemy and a far enemy. The near enemy is a quality that looks like equanimity but is not wholesome, while the far enemy is the opposite quality. The far enemy of equanimity is greed or attachment, which is easy to understand. The near enemy is indifference or apathy. This is important. Equanimity implies a level of caring and presence, unlike apathy. One of my favorite illustrations of equanimity is the metaphor of salty water. If you took a tablespoon of salt and put it into a standard glass of water, the salt taste would be obvious and perhaps even overwhelming. If you took that same tablespoon of water and dumped it into a huge lake, the salty taste would not be detectable. Equanimity is an act of creating space, allowing things to be, and making room for them. When charged experiences arise, we are less reactive and able to allow them to be. Equanimity can be understood in two different ways, as a quality of the heart and of the mind. With the heart, we can look specifically at equanimity as one of the heart practices. It is sometimes described as a quality that holds the other brahma-viharas together in a healthy way. To understand how equanimity works as a heart practice, we can look at an example. Let’s say you’ve been cultivating compassion, or the ability to be with suffering with a tender and loving presence. You see somebody in your life experiencing pain. Without equanimity, you can become sucked in, allowing their pain to control your emotional state. You may not even be in compassion any longer, but more of a codependent “trying to fix” state. With equanimity, you can see that you are not in charge of this person’s happiness. You can care fully, without being wrapped up so deeply. It’s the same with mudita or metta. Equanimity acts as a container, allowing us to open the heart while remaining balanced and at ease. Equanimity helps us recognize that we are only in charge of our responses. In a similar way, we can understand equanimity as a quality of the mind. That is, equanimity is not just for our relationships with other people. With equanimity of the mind, we can respond to mental formations with some patience and equanimity. Internally, equanimity allows us to see the arising and passing experiences of the mind with more clarity. When the mind is constantly being knocked off balance by thoughts and emotions, we grow tired and are not able to really see what is happening. Remember the salt metaphor. We can make space for what is arising, and allow it to be present. Whether it’s with the mind or the heart, it’s important to recognize that equanimity is neither complacency nor apathy. We don’t need to let somebody else cause harm, and we don’t need to just allow our minds to be angry. Instead, equanimity is a call to remain strong in our practice, not allowing the experiences to pull us away from mindfulness, kindness, and compassion. Cultivating equanimity in Buddhism is traditionally done through formal meditation. Equanimity meditation practices generally focus on working with another individual and recognizing that they are in charge of their own behaviors, happiness, and karma. 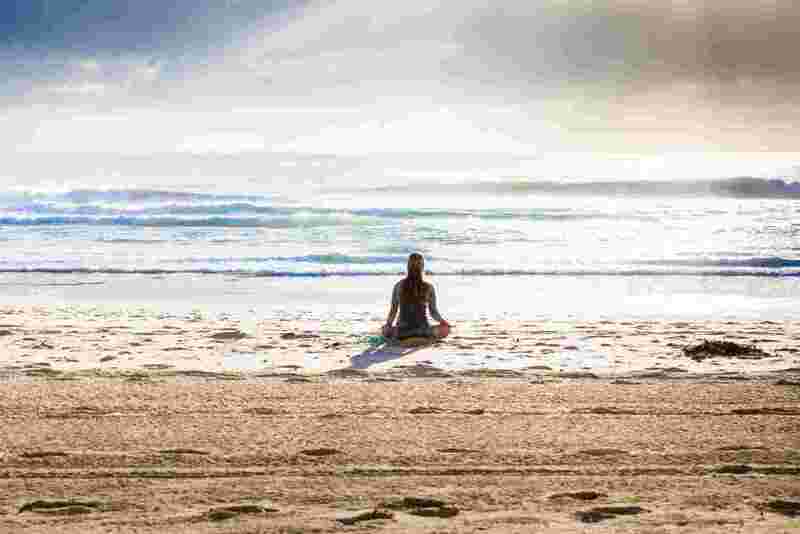 Here is a guided meditation to cultivate equanimity you can give a try. For more thoughts on equanimity, visit our page Quotes about Equanimity. 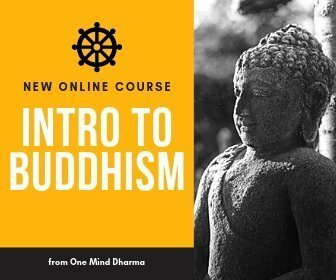 To learn more about meditation, Buddhism, and where to start, check out our guide to getting started at https://oneminddharma.com/meditation-guide-for-beginners/.